One of the busiest weeks the tech industry trudges through each year has come to an end, and as most people have returned home, thoughts are being mulled on, and highlights are beginning to emerge. We found eight products or technologies that left the biggest impression on us – and more importantly, made us want them! Choices contributed by Greg King, Jamie Fletcher, and Rob Williams. For those involved in the technology industry, CES week is undoubtedly one of the busiest of the year. One meeting melds into another, as do the products. Anyone who’s gone to CES understands the full extent of the term “that week was a blur”. That’s so much the case, that it’s not until we return home that we can really settle our thoughts and figure out which products and technologies won our hearts the most. 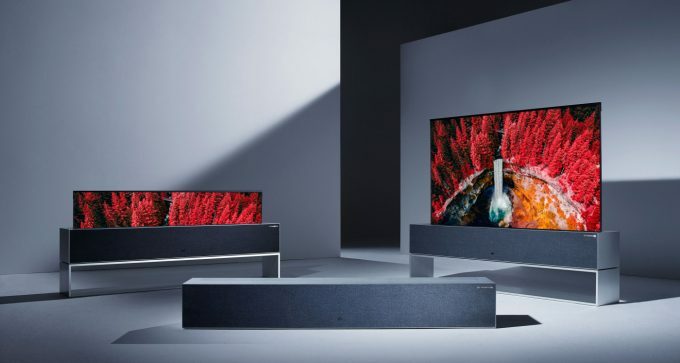 Admittedly, this year’s CES didn’t leave us feeling “wowed” as often as some previous events have, but it’s never hard to find a handful of things that we consider to be truly intriguing. In this roundup, we’re taking a look at a few audio and gaming technologies, and dare we say it, there’s even a little bit of RGB in there. 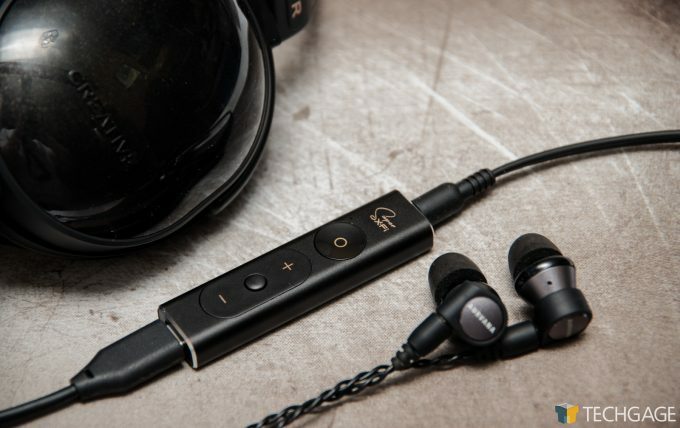 Audio got a lot of attention at this year’s CES, as there was not one, but two very interesting products on show that made us do a double-take on what we were listening to. One such product was a new headset from HyperX, the Cloud Orbit S. There will be two versions of the Cloud Orbit, but it’s the S version that will have heads turning – quite literally. 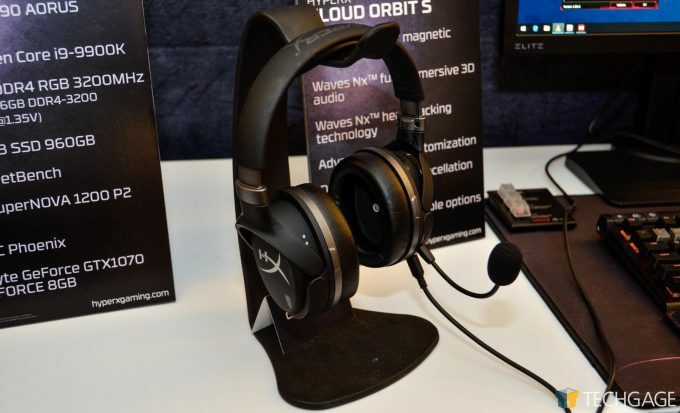 The new Cloud Orbit headsets are HyperX’s attempt at breaking into the premium audio market with 100mm planar magnetic drivers, instead of the more traditional coil driven 40 and 50mm drivers in most headsets. However, that’s not what caught our attention, the Orbit S includes 3D positional tracking. Sound sources are positioned in 3D space around you, and as you move your head, so too does the audio source. This effect is achieved with a gyro built into the headset, along with some DSP wizardry to interpret where the sound sources are. Moving your head around in a game will change where the sound comes from. This means you can effectively look with your ears when someone tries to sneak up on you, while keeping your sights on the prize. This sort of tech will be mostly useful to VR headsets, but we still think that more traditional games can and will take advantage of this. Super X-Fi is a small dongle like any other amp and DAC, but it can turn headphones into a full set of surround sound speakers. OK, virtual surround sound is not new, and it’s generally a rather poor approximation of the real thing, but the Super X-Fi really pushes the boundaries of what virtual surround can do. Creative’s method of achieving this is with personalized calibration profiles by mapping the shape of your head and ears, and setting up a virtual studio in the Super X-Fi dongle via an app on our phones. It’s this personal touch that creates very effective virtual surround. At the show, a demo area was used to create a much more accurate model of a real room, where we were then told to take the headphones on and off, and compare them to the room full of speakers that the headphones were simulating. The result was impressive. We are currently in possession of a Super X-Fi and it’s under review, so we can talk about it more in the future. It’s by no means a perfect solution, and there’s a lot that can be improved. So far though, it’s one of the best off-the-shelf virtual surround sound systems out there, and one that’s bound to improve over time. 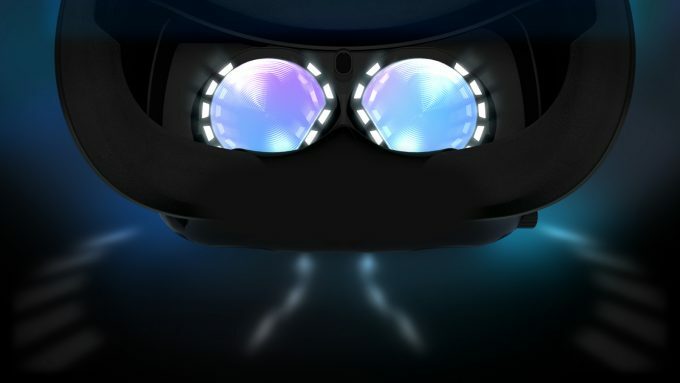 Of all the tech that was announced at 2019’s CES, one that got us most excited was the Vive Pro Eye. We first saw the Vive Pro at last year’s CES, and while impressive, it wasn’t quite enough to push our VR devouts into upgrading existing Vive headsets. 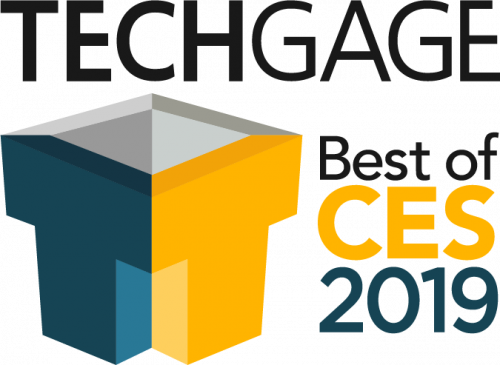 With the Vive Pro Eye, eye-tracking pioneer Tobii has found itself on our best of CES list for the third year in a row by teaming up with HTC to push the VR industry forward once again. Using a technique called “foveated rendering”, the Pro Eye knows where your gaze is directed and can render a crisper image in that area. Another potential use of eye-tracking in your VR headset is the ability to quickly select a title from an in-game menu, or teleport in 3D space without using your controller, freeing it up for combat or whatever might be happening at that time. While we’re sure developers will have some creative and fun implementations for us, the real excitement is seeing the VR industry advance in meaningful ways. We’re still waiting for HTC’s Knuckle controllers, but the Vive Pro Eye is expected to launch in Q2 of 2019. Say you had a Microsoft Surface and you absolutely loved it, but you wished for more power. Say you were able to somehow shoehorn the horsepower of a desktop into a larger but very familiar form. The end result might just be the ASUS Mothership. Equipped with its own kickstand and detachable keyboard, the GZ700 sports a GeForce RTX 2080 and an Intel 8th Gen i9 CPU. Is it heavy? You bet it is! It weighs in at 10+ lbs., but it’s as close to a desktop replacement as you’re going to find. We were able to play around with the GZ700 at ASUS’ suite during CES, and we left impressed. One whole wall was dedicated to the internal components that make up the Mothership, and the sum of their parts equal a masterpiece in engineering. Incorporating Wi-Fi 6 (802.11ax) and 2.5G Ethernet for connectivity, a 144Hz 1080p display, and fed from a three NVMe SSD RAID 0 array, the Mothership has you covered on the performance front. It might not be practical for most folks, but it’s definitely impressive. Once CES concluded and we returned home, the single most asked about piece of tech from everyone we’ve spoken to has been the “TV that rolls up.” It garnered a lot of coverage by the media for obvious reasons. The 65” OLED TV R is an astonishingly beautiful 4K HDR display with a pretty awesome trick up it sleeve. When you’re done watching your movie or playing your game, you can tell the TV to go away – and it will! It will literally lower into its base, which doubles as a sound bar, rolling up as it disappears. The rollable TV from LG features both Alexa and Google Assistant built-in, and also supports Apple’s AirPlay 2 and Home Kit. With all those choices for voice controlled automation, you’re free to, ahem… roll your own solution without having to commit entirely to Amazon’s or Google’s solution. When not in use, the TV will disappear entirely into its base. Between all out and gone for good, there’s a third state where the screen will partially unroll to display the time, weather, stream music or display photos. The LG site states that the TV R is “coming soon” and rumors place it on shelves sometime in 2019. At this point, AMD’s impact on the CPU market in recent years is well-known to anyone who pays any attention to the industry. The original Ryzen impressed beyond most expectations, and the subsequent Ryzen 2000-series release refined the formula to eke a bit of extra performance out of our dollar. We’ve already seen a few ways Intel has reacted to Zen, and ultimately, the consumer wins. At CES 2019, AMD announced the third-generation Ryzen chips, which fall into the Ryzen 3000 series branding. It’s important to note that Ryzen 3000 is currently used on mobile, but those chips do not reflect the Zen 2 architecture, or 7nm die process like these forthcoming desktop chips will. Both of those ingredients will help AMD produce a chip that proves even more competitive with Intel’s Core and Core X-Series processors. 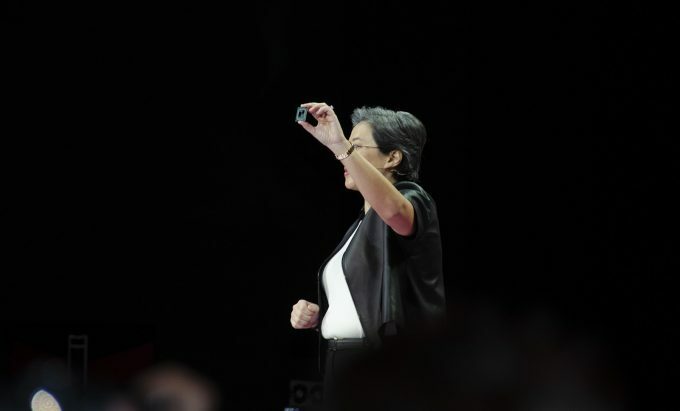 During her keynote address, AMD CEO Lisa Su gave a quick look at Cinebench R15 performance, to show that the unnamed (and likely top-end) Ryzen 3000-series chip didn’t just match Intel’s Core i9-9900K, but even beat it out ever-so-slightly. If that performance carries over to other workloads when the final product launches, then the CPU world will suddenly become even more interesting. As its Threadripper chips have proven, AMD loves sticking it to the competition where pricing is concerned, so if it manages to produce a chip that matches Intel’s performance, fun times are going to be had by all. Well, except Intel. We can complain all day long that NVIDIA’s GeForce RTX graphics cards are priced higher than they probably should be, but the fact of the matter is, those willing to depart with their stack of bills will be treated to market-leading performance, and of course unique features, like ray tracing and DLSS (deep-learning super-sampling). At CES, NVIDIA unveiled its desktop-bound RTX 2060, but the more interesting story was the RTX mobile transition. 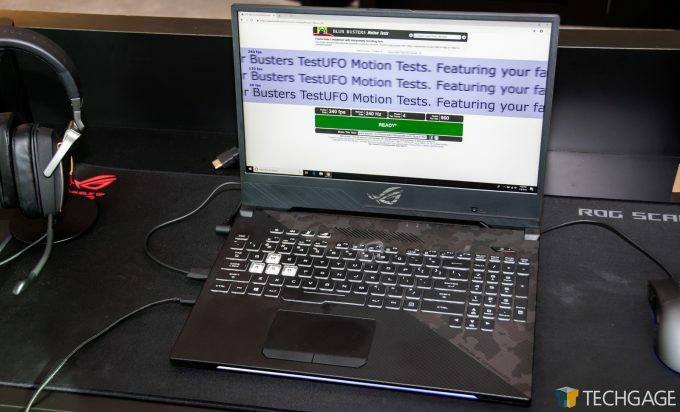 When NVIDIA announced its first Pascal-based mobile GeForces a couple of years ago, the company genuinely wowed the press-filled room when it learned that the chips basically delivered desktop-level performance in a notebook. Our later look at a Pascal-based Max-Q notebook from ASUS made us believers. It really is possible to get a super-powerful notebook, or a modest one that still delivers quality 1080p/60 gaming. With RTX available on notebooks, it means that the already-powerful GeForce lineup gets even more powerful. 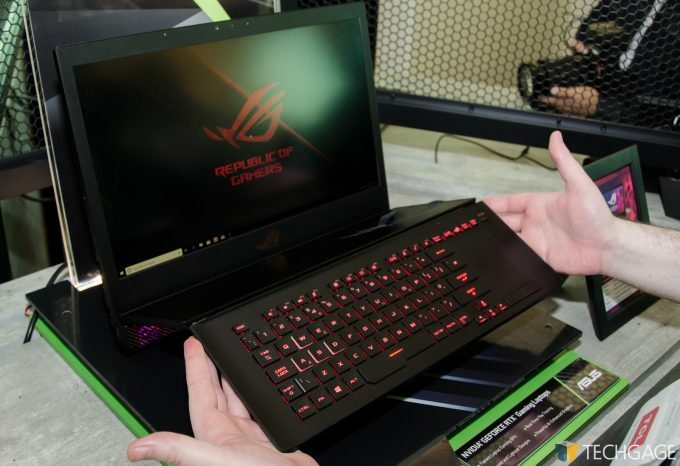 The result of such power was immediately seen at CES, as ASUS had a 240Hz RTX-equipped notebook on display. That kind of design would have been unheard of a couple of years ago. Of course, support for ray tracing will continue to grow, as well as DLSS, so RTX is only likely to become more attractive as time goes on. It’s rarely an exception that Corsair’s CES showing is going to be impressive, even if it’s with the amount of product shown-off. Luckily for us, 2019’s event had some genuinely cool product on display, with the one to catch our eye (literally) being the new Capellix LEDs. Yeah, we get it – RGB is very much a love-it-or-hate-it kind of feature, but this is the first time in a while where we’ve felt impressed by a new RGB move. With Capellix, Corsair has managed to turn a large grid of LEDs into a super small one – one that can use less power for the same brightness, get even brighter than before, and offer more flexibility. 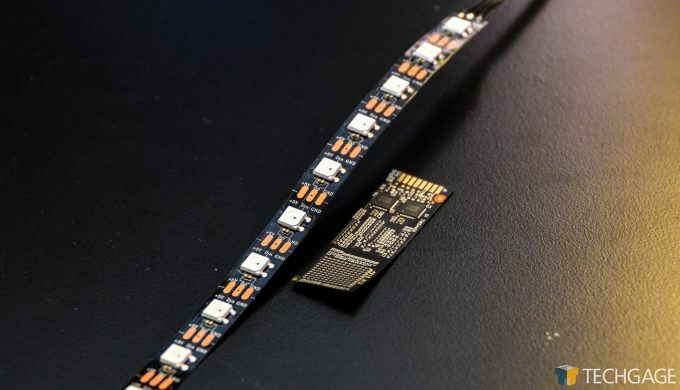 The first Capellix LED product is going to be part of the DOMINATOR memory series, and is allegedly going to be launching very soon. Word has it that the top kit will be spec’d upwards of DDR4-4800, so it won’t only look good, it will offer bleeding-edge performance, to boot. 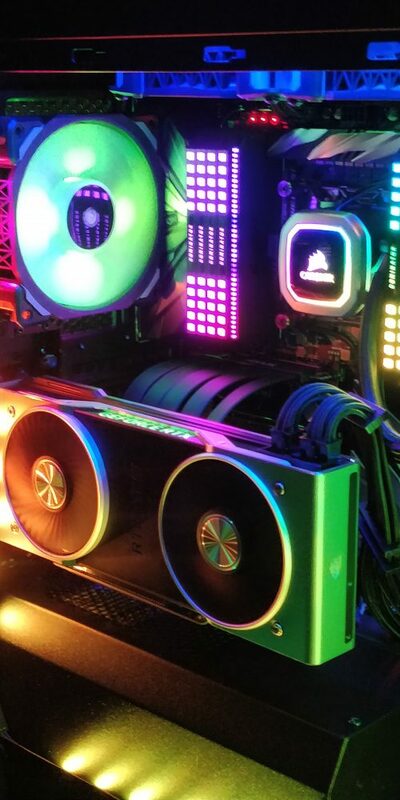 Corsair is clearly addicted to RGB, and the DOMINATOR kit is only the start of Capellix’s life. With the ability to densely line LEDs in a small patch, Corsair could technically make mini screens that show different graphics or words. And if you don’t like RGB, don’t forget you can always choose just one color (including shades of one color) and stick with that. Your PC doesn’t always need to look like it came out of Reading Rainbow (though that’s cool, too).